Strategic definition describes current perceptions, audiences, and communication channels. It directs well-crafted messages and a bold identity to express the brand’s positioning. That positioning is recognized through messaging and identity. The concept of positioning was introduced in the 70s by Al Ries and Jack Trout in their definitive book, Positioning: The Battle for Your Mind, How to be Seen and Heard in the Crowded Marketplace. When a brand is well-positioned it is quickly recognized and audiences know what it stands for. When building a brand, positioning is encapsulated in both the visual and verbal brand–as a strong, recognizable and consistent identity system supported by a brand promise and key messages. It’s what people see, read and hear that defines your position, through messaging and identity design. Quick recognition of an identity, supported by concise messages, will distinguish your brand from others in your category and help to motivate your target audiences. Positioning will help your audiences understand and recognize who you are and what you offer. They can then take the next step towards becoming a client or customer at each point of choice. Be unique. Be memorable. Start by narrowing your focus to define a unique position in your category and market. Strategic definition–identifying your audiences, defining your unique assets and benefits, and summarizing where your organization fits in the category is the first step. Bring that positioning to life with the right words and the visual system that will capture attention. Are you noticed and recognized? Does the brand identity guide and reinforce the brand persona and support how you want to be perceived? Do audiences “get” what makes your organization or your products or services a better choice? People want stories. They want to understand. They want to know enough to share. They want to see at a glance what you stand for. They want to quickly find your brand on the street, on the shelf or online. 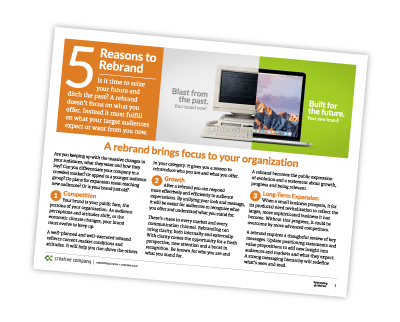 With the foundation of positioning, a brand program will have long-term impact. Positioning unifies internal and external messages and adds energy and excitement to the visual system. Positioning is essential to ongoing success. Positioning from your audiences’ perspective is what counts. Define your audiences with our worksheet. 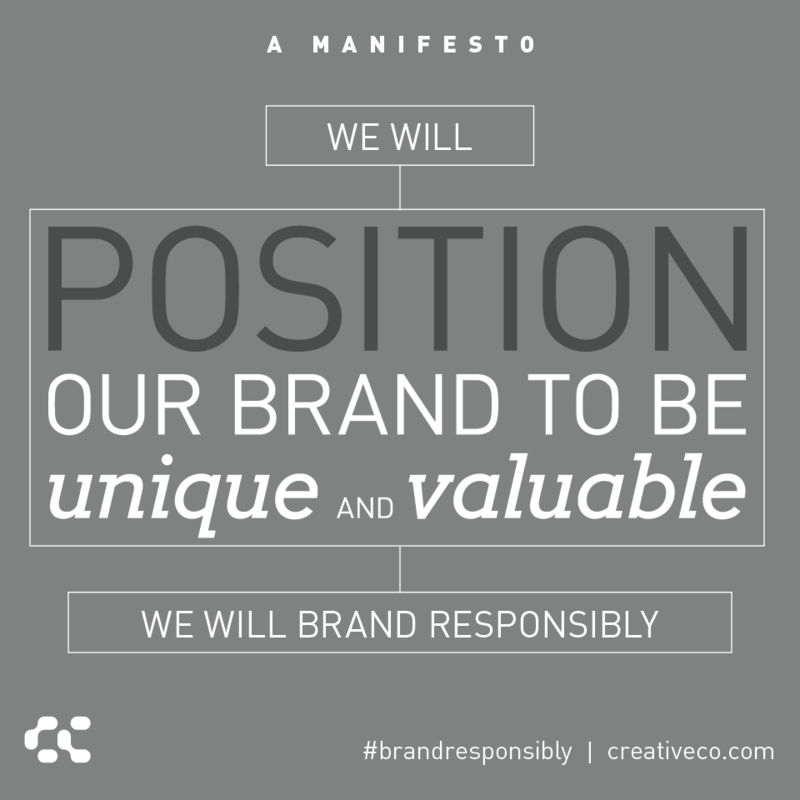 And you can download the complete Brand Responsibly Manifesto here. Without strong positioning to guide the visual and verbal brand, you just have sales messages and a logo and some colors. Positioning brings shape and context. n every marketing tactic. Good think, right? 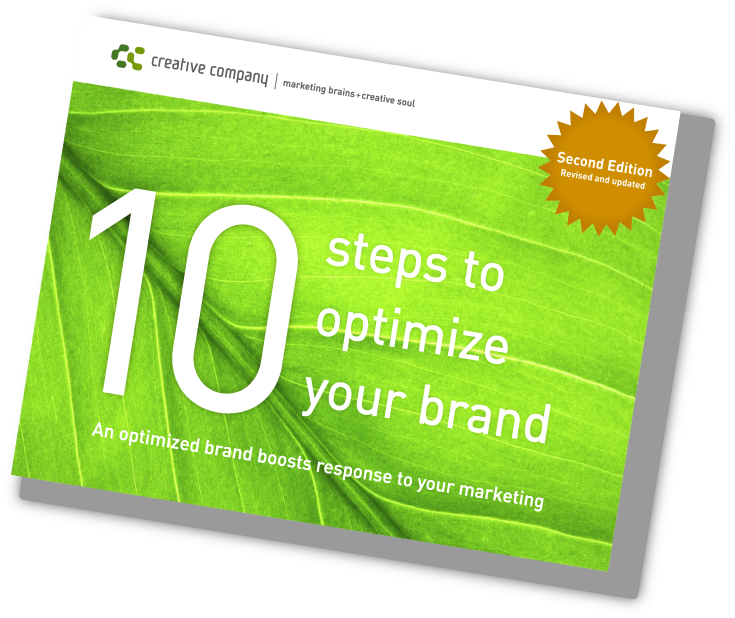 We offer an ebook to outline best practices to build an optimized brand. 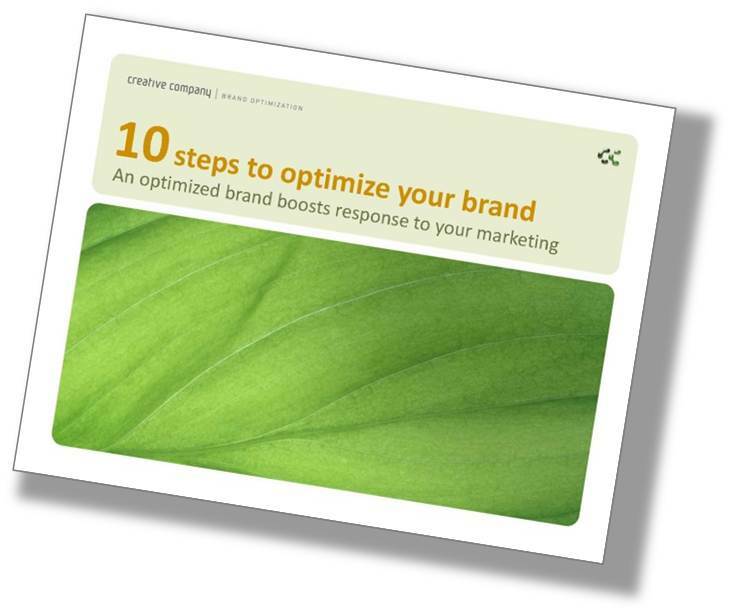 Download our free ebook, 10 Steps to Optimize Your Brand. Use these best practices to tune up your marketing, focus on your audiences, and be more effective.